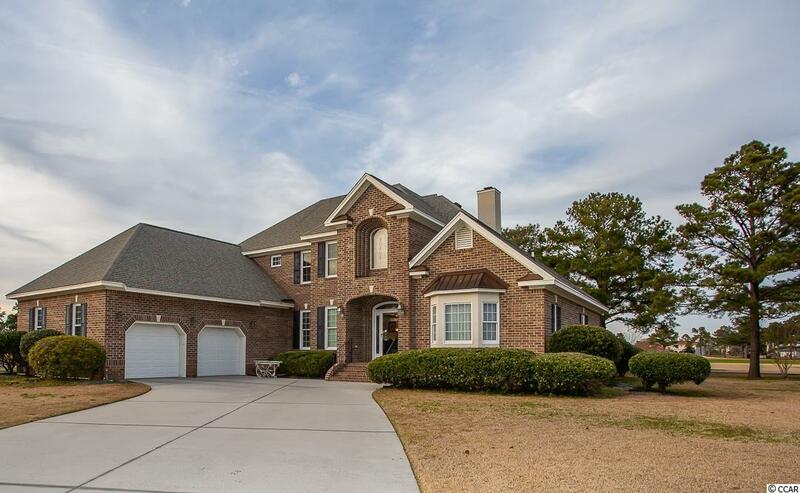 Magnificent two story all brick 4BR- 3.5 BA home in the prestigious community of Plantation Point in Myrtle Beach! 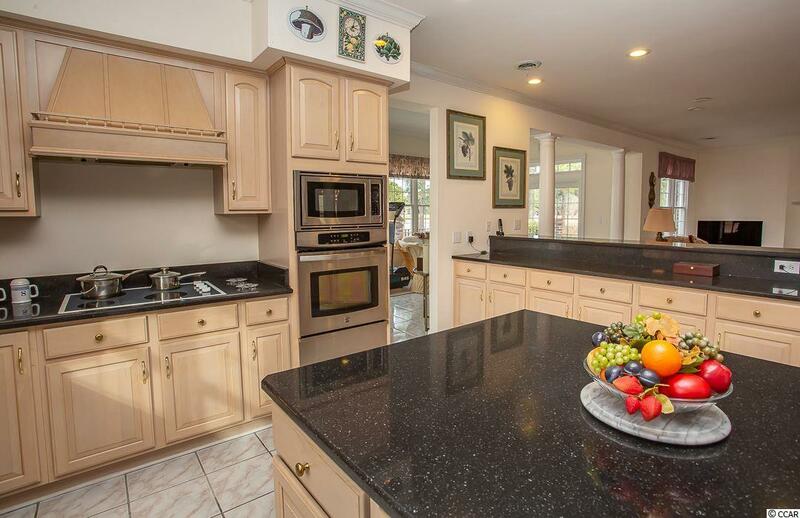 This home is situated on .64 acres and backs up to the Myrtlewood Golf Club for complete privacy. Well maintained and in immaculate condition. The two story foyer opens to a formal dining room, living area and kitchen. The living room leads to an amazing large bright and airy Carolina room with dining area. 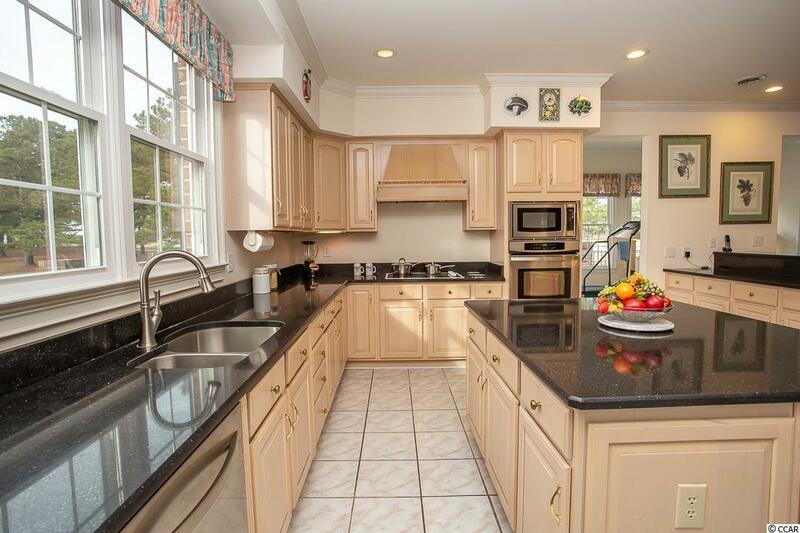 The kitchen features custom cabinetry, generous work island, built in stove top, oven, microwave, solid counter tops & stainless steel appliances. Master suite is located on the first floor, the master bedroom is large enough for a sitting area, plenty of closet space. The master bathroom features an over sized garden tub, vanity and additional closets. On the second floor is 3 bedrooms, current owner uses one room as a den, and 2 baths. Amazing hardwood floors and tile throughout the home. A second staircase is located in the back area of the home for convenience. Additional features are supplementary storage located in the walk-in attic, oversized 2 car garage, central vacuum & windows recently replaced with a lifetime warranty. The incredible outdoor area is the piece de resistance! An immense patio is located off the living room/Carolina room area with views of the Myrtlewood Golf Club. The patio completely wraps around the back of the house with wide steps leading to the back-yard in two places. Perfect for entertaining! The irrigation system is on a separate pump obtaining water from a near-by pond. Plantation Point is located two miles form the beach and minutes from restaurants, shopping and entertainment. 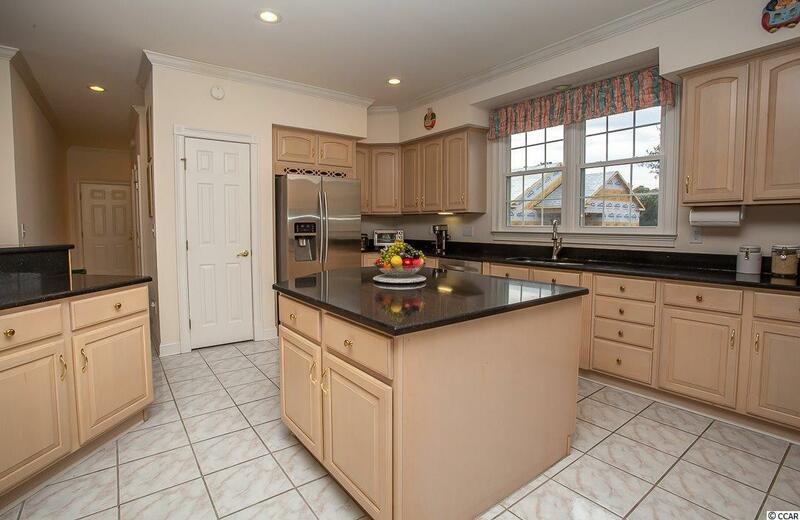 Make an appointment to see this gracious home today!